So, this isn't a complicated recipe and y'all may do this method already, but this is by far my fave way to make popcorn in our house. 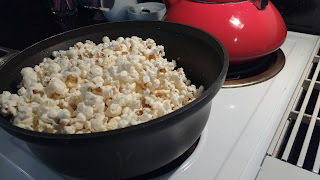 If you haven't figured how to pop kernels on the stovetop, here is my method with only 1-2 kernels unpopped every.single.time. YES! Heat coconut oil in a pot over medium heat. Add 3 popcorn kernels and place the lid on. As soon as those 3 kernels have popped, it is time to add the rest of the popcorn kernels. 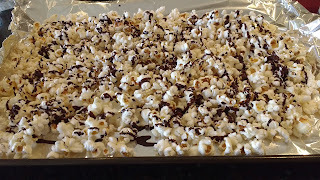 Take the lid off and add the 1/3 cup kernels. Keep off of the heat for 30 seconds- yes, I count out loud to do this. 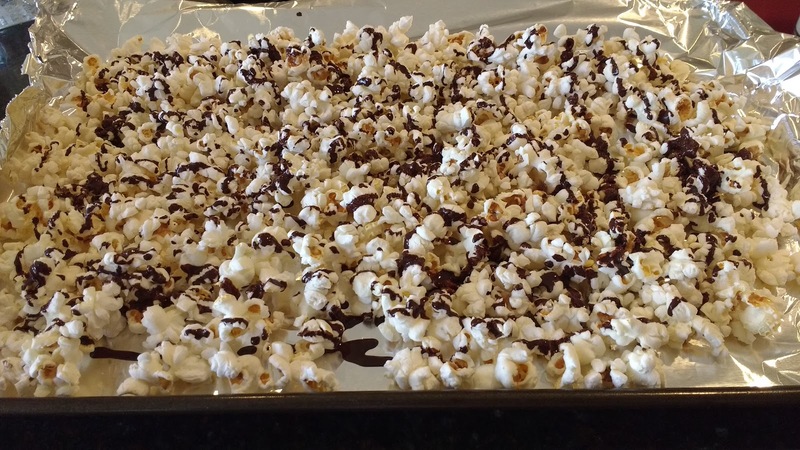 I have read somewhere that it allows all of the kernels to get heated evenly, which is the solution to popping as many kernels as possible! Put the pot back on the burner still on medium heat and let it pop away. I sometimes shake the pot occasionally. When the kernels popping slows/stops (if more than 5 sec. passes between each pop), remove the lid (you may have a few pop out at you! ), sprinkle salt on, put lid back on and shake- (you could also add cinnamon, nutritional yeast, whatever your heart desires). Popcorn done. 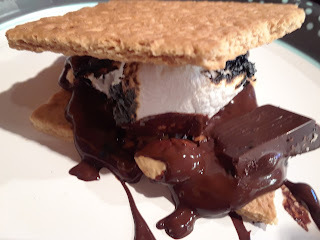 I got creative and melted a little coconut oil with cocoa powder and stevia and drizzled it on top- it was okay....it kind of melts on your hands as you are eating it, so I need to perfect this! Enjoy!